Did you know that Yemen has not had an elected parliament since 2003? There hasn’t been a multi-candidate Presidential election since 2006, and even then it left much to be desired. There is no question that this lack of democratic representation has bred frustration in Yemen’s populace. But while other actors in Yemen’s scene have been able to push their representation onto the public stage, even by force as the Houthis have done in Yemen’s conflict, the South Yemeni people have been left voiceless. This is difficult for a people who prior to unification in 1990 had enjoyed political autonomy since 1728. Now, after nearly a decade of non-violent protests, years of countless boycotts and strikes that have stunted economic growth, and a protracted conflict deeply rooted in South Yemeni aspirations, it is time that the South Yemeni people get their right to express their aspirations. Before the Arab Spring of 2011 and the Bread riots of 2008, there was the peaceful Southern Movement. Launched in 2007 as a series of non-violent protests carried by South Yemeni veterans forced into retirement, the organizers had a simple objective: restoration of the South Yemeni state. 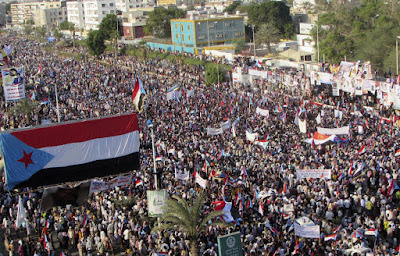 Protesters complained of discrimination, massive land theft, corruption, and a lack of democratic institutions as reasons that the unification of North and South Yemen in 1990 was a failure. A review of Yemen’s relatively short period of unity shows it was troubled from the start. After a series of assassinations of South Yemeni politicians between 1990-1994 (hundreds of YSP officers), South Yemen’s previous government attempted to secede and reestablish their state. This triggered an invasion from North Yemen that turned into a violent conflict resulting in the occupation of Aden (South Yemen’s former capital) and provinces in the South, as well as the destruction of key institutions. One of those institutions was the former South Yemeni army, where most former officers were forced into retirement. Up until 2007, South Yemeni politicians and organizers lived in exile or in prison, while common South Yemenis coped with day to day marginalization from a state devoted to a credo of “unity or death.” In that interim, Ali Abdullah Saleh ruled continuously as dictator flaunting term limits enshrined in the unification agreement. Democracy was flaunted too, as elections eventually no longer became necessary. Slowly South Yemenis saw their state institutions, properties, and quality of life give way to more and more corruption. The peaceful Southern Movement was launched as a response and from boiling public frustration. From the beginning up until the current conflict in Yemen, those protests were met with brutal violence; North Yemeni troops stationed in the South opened fire at rallying crowds. 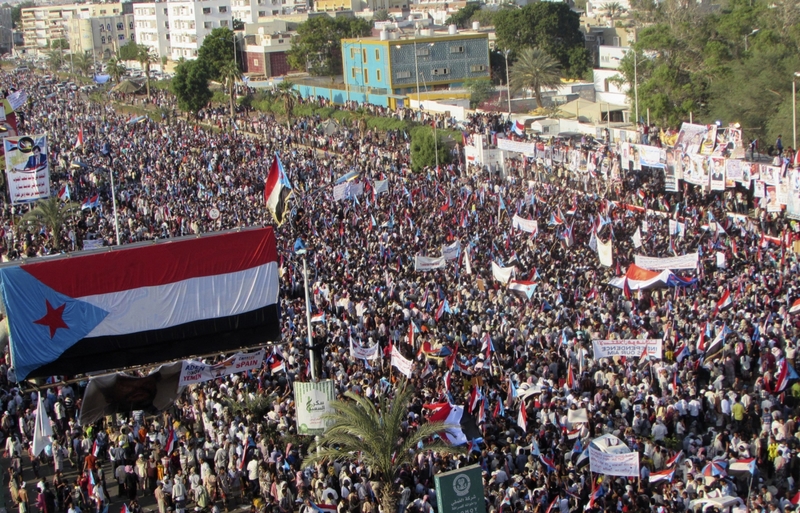 Protests grew, but to no avail; the latest rally in Aden of the Southern Movement in November 2014 (prior to the start of the current conflict) was numbered in the hundreds of thousands. Even when the Arab Spring protests spread across Yemen in 2011, the Southern Movement’s rallies were largely ignored for the image of youthful change. While the Arab Spring protests eventually led to the resignation of dictator Ali Abdullah Saleh, the Southern Movement’s protests yielded very little in regards to concessions by the government. Even requests for reintegration of public sector workers or compensation for stolen property were not addressed. Public frustration continued to boil. Maintained by southerners from across the globe. Powered by Blogger.